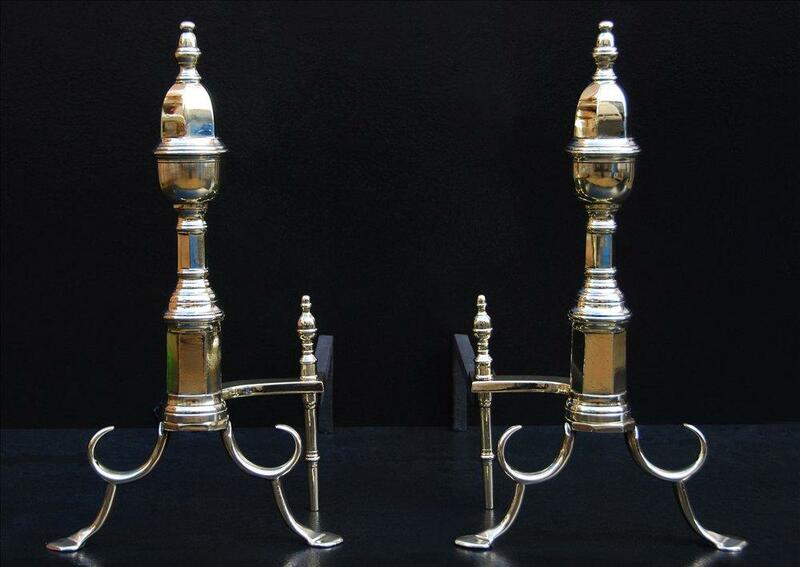 A pair of 19th century English brass firedogs. 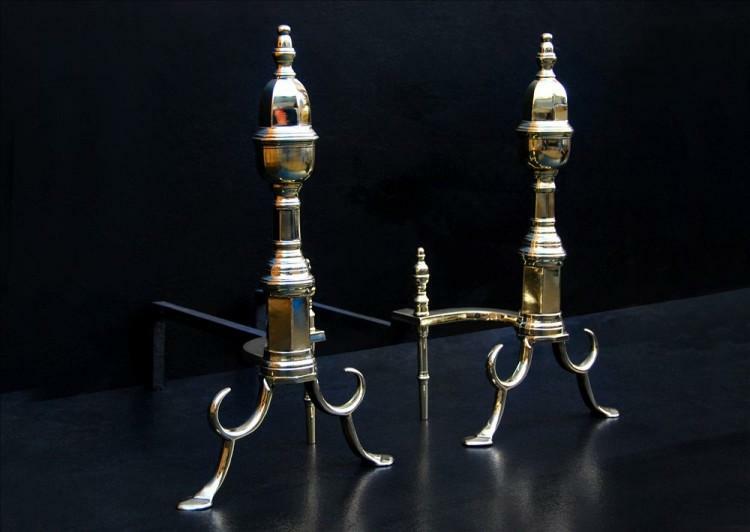 The shaped feet, surmounted by hexagonal shafts and finials above. Shaped backbars.